Hale-Bopp, the most dazzling comet to grace our skies in the 20th Century, has drifted beyond the orbit of Neptune, over 30 AU from the sun (1AU = one sun-Earth distance). Curious astronomers from Hungarian, U.S. and Australian research institutions decided to track the icy vagabond as it continued its outward journey on an epic 2,500 year orbit. In 1997, Hale-Bopp gave us Earthlings a dazzling show. Heated by the sun, the comet underwent an impressive outburst, ices subliming into space, producing a dusty coma visible to the naked eye with bright dust and gas tails (plus the discovery of a previously unknown neutral sodium tail) carried away from the comet in the direction of the solar wind for millions of miles. The United States has ordered an additional 3.42 million anthrax inoculation doses under an existing order with the vaccine’s Maryland-based manufacturer, the company announced on Monday (see GSN, July 14, 2010). An updated contract calls for Emergent BioSolutions to provide 17.92 million doses of BioThrax. The extra vaccine is expected to be supplied starting in the third quarter of this year, after the company wraps up delivery of the initial order of 14.5 million doses, according to a press release. 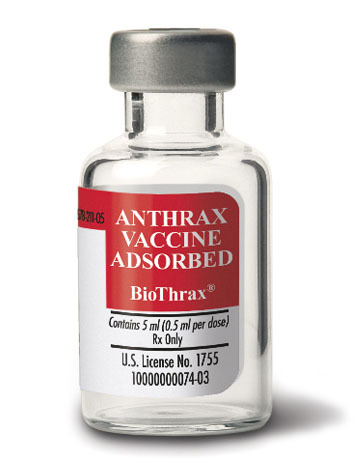 BioThrax is the only anthrax vaccine licensed in the United States for use against the potential bioterrorism agent. The extra doses are due to be delivered before the end of this year. Emergent could receive an additional $101 million under the revised contract. “Emergent proudly supports the U.S. government’s efforts and unwavering commitment to meet its stated need of 75 million doses of anthrax vaccines,” Fuad El-Hibri, company chairman and chief executive officer, said in the release. “This contract is an indication that BioThrax remains a critical component of the government’s arsenal of biodefense medical countermeasures. In addition to this contract modification, we are continuing discussions with the U.S. government regarding a follow-on procurement contract, which we anticipate will cover a multiyear period” (Emergent BioSolutions release, May 2). Why Is the U.S. Bankrolling IMF’s Bailouts in Europe? The World Bank and International Monetary Fund held their spring meeting April 14 to 18 in Washington, D.C. Both financial titans were created after World War II to foster economic cooperation and development around the globe. With 16.2% of the International Monetary Fund (IMF) shares, the United States is the largest shareholder among the 187 nations who belong to the fund—even though its managing director has always been a European. Remote to most Americans, the IMF has been in the headlines recently because of its role as one of the financial rescuers of three European nations whose economies collapsed last year. Under Managing Director Dominique Strauss-Kahn (the former French finance minister, who is considered the leading Socialist candidate for president of France in 2012), the IMF has joined with the European Union to sculpt bailout packages for Greece, Ireland, and Portugal. Coupled with loans from the EU, the price tags on the bailout packages come to $157 billion for Greece, $122 billion for Ireland, and most recently, $116 billion for Portugal. The death of Osama bin Laden will bring a “new era of jihad,” predicted British extremist cleric Anjem Choudary. Warning there are motivated jihadists “in the heart of America,” Choudary said al-Qaida will likely carry out revenge operations with “meticulous accuracy” and “devastating affect” comparable to that of the 9/11 attacks. Choudary is the founder and former chief of two Islamic groups disbanded by the British authorities under anti-terror legislation. “I do believe that the death of Sheikh Osama will bring in a new era of jihad,” Choudary told Klein. 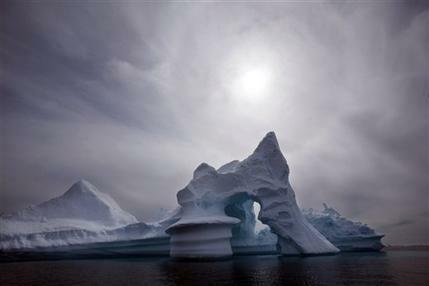 STOCKHOLM (AP) — Arctic ice is melting faster than expected and could raise the average global sea level by as much as five feet this century, an authoritative new report suggests. The study by the international Arctic Monitoring and Assessment Program, or AMAP, is one of the most comprehensive updates on climate change in the Arctic, and builds on a similar assessment in 2005. The full report will be delivered to foreign ministers of the eight Arctic nations next week, but an executive summary including the key findings was obtained by The Associated Press on Tuesday. It says that Arctic temperatures in the past six years were the highest since measurements began in 1880, and that feedback mechanisms believed to accelerate warming in the climate system have now started kicking in. One mechanism involves the ocean absorbing more heat when it’s not covered by ice, which reflects the sun’s energy. That effect has been anticipated by scientists “but clear evidence for it has only been observed in the Arctic in the past five years,” AMAP said. The report also shatters some of the forecasts made in 2007 by the U.N.’s expert panel on climate change. A once dormant bill to criminalize natural food and supplement producers is back in action. Attaching a prison sentence of up to 10 years is pretty serious for a possible ambiguous crime of adulteration and misbranding. Senator Patrick Leahy introduced this bill last year as S.3767, The Food Safety Accountability Act. Although amended, it is still too vague and ultimately considered a bad bill, even by the folks who effected its amendment. Before we could report on the bill’s resurrection, it passed the Senate. In summary, it “Amends the Federal Food, Drug, and Cosmetic Act to impose an additional fine and/or a prison term of up to 10 years for knowingly violating prohibitions of such Act against adulteration or misbranding of any food, drug, device, tobacco product, or cosmetic, or against the introduction in interstate commerce of unsafe dietary supplements, with conscious or reckless disregard of a risk of death or serious bodily injury.” See how wide open that is?